Real estate is the important aspect that is responsible for developing the nation and raising the living standard of its people. There are many real estate groups which are giving tough competition to each other to make their strong position in the market. They are involved in residential property, commercial property and government projects; as a result they are becoming the face of the economy. At the present time, the market is ruled by the giant Ace Group. It is taking real estate to a height of brilliance and is consistently delivering breath taking projects with the support of its innovative engineers, creative architects and hard working team. It has launched many projects, which are far beyond expectation and always becomes an attraction in the market. The projects have satisfied thousands of customers, due to which they are favorites of investors too. The Ace group’s most splendid project Ace Platinum has been launched in grand location of Greater Noida. There is a clean and green pollution free environment which will bring contentment in life. 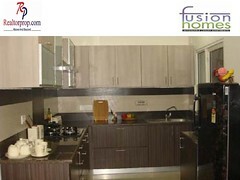 The Location is well connected to major areas of Delhi Ncr. It is close to metro station, express highway, reputed institutional area, shopping complexes, hospitals. This project is planned to perfection, having wider planted roads and spaciously designed structures. There are 1/2/3/4 BHK comfort apartments, ranging from 700 sqft to 1950 sqft area. They are providing the amenities like 100% power back up, 24*7 security, fire fighting arrangements, lifts, club house with kids’ splash pool, and much more. The different floor plans available are 1 BHK – 700 sqft, 2 BHK – 1050 sqft, 3 BHK – 1450 sqft, 4 BHK – 1950 sqft. Acrylic emulsion paint in living room, bedroom. Oil bound distemper in ceiling and balconies. Laminated wooden flooring/vitrified tiles in rooms. Anti skid ceramic tiles and vitrified tiles in kitchen, toilets, lift lobbies. Polished doors and UPVC/Powder coated aluminum coated windows. CP fittings, stainless steel sink and exhaust fan in kitchen. Toilets have European WC, wash basin, exhaust fan provision, hot and cold water arrangement. In spite of the fact that the project is world class, it still has an affordable price. The RealtorProp offers apartments in this project at a starting price of just Rs. 26 lacs. RealtorProp is the ultimate platform for all real estate solutions in Delhi Ncr. Here you may also visit my blog.